We are very pleased to welcome Associate Professor Adrian KC Lee from the University of Washington, who joins the Macquarie University community as an Honorary Associate Professor. Adrian KC Lee is an Associate Professor in the Department of Speech & Hearing Sciences and at the Institute for Learning and Brain Sciences at the University of Washington, Seattle, USA. He obtained his bachelor’s degree in electrical engineering at the University of New South Wales and his doctorate at the Harvard-MIT Division in Health Sciences and Technology. 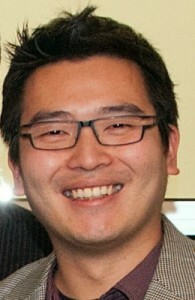 Dr. Lee’s research focuses on developing multimodal imaging techniques to investigate the cortical network involved in auditory scene analysis and attention, especially through designing novel behavioral paradigms that bridge the gap between psychoacoustics and neuroimaging research. © Copyright Australian Hearing Hub | Site Publisher: Australian Hearing Hub.